The Spalding NBA Shoot Case One on One basketball system is a high performance portable backboard endorsed by the NBA. The weatherproof and stainless board can resist both outdoor as well as indoor conditions and is a great introduction to basketball for junior players. The system features very simple one piece construction which is easy to set up without using any tools. 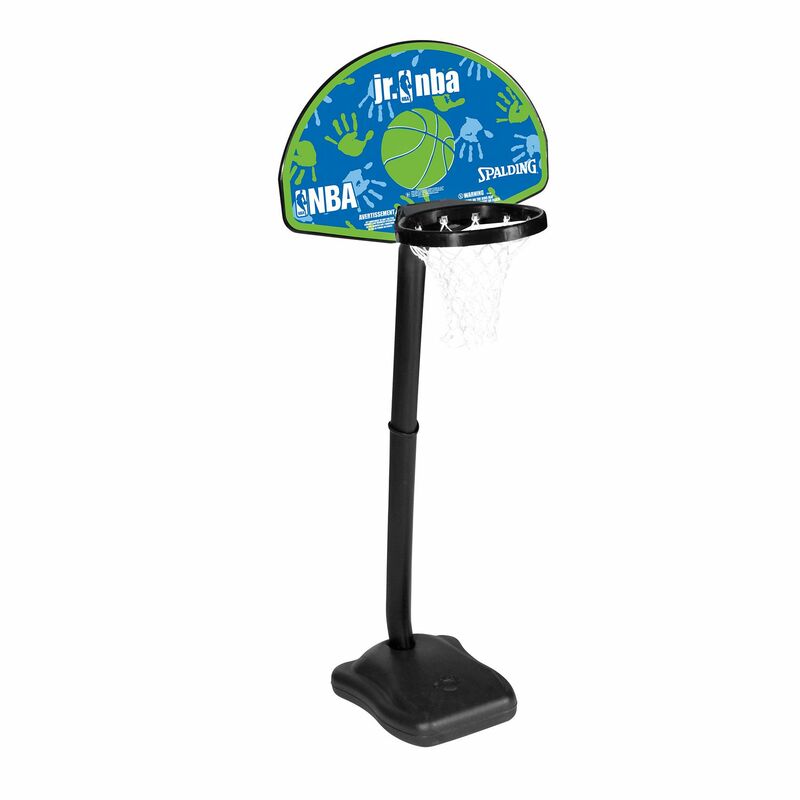 The board’s rim is 25cm (9.8in) in diameter and the set is supplied with a mini ball that fits the rim size. The telescopic pole provides easy height adjustment and makes the board accessible for a wider range of users. for submitting product review about Spalding NBA Shoot Case One on One Basketball System.